This Article provides a complete guide to setup Apache Maven in your Windows or Unix based environment(Linux, Solaris and Mac OS X). Maven version used in this article is Apache Maven 3.1.1. 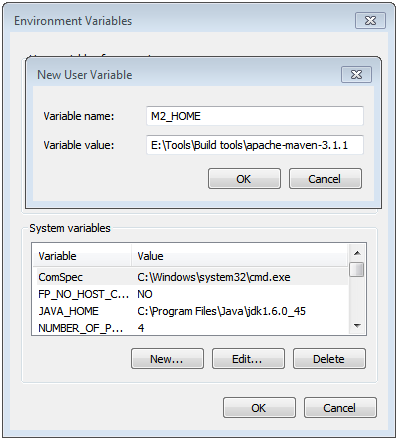 Download the latest Maven version from Apache Maven site for your environment. Unzip or Untar it on your preferred location in your machine. 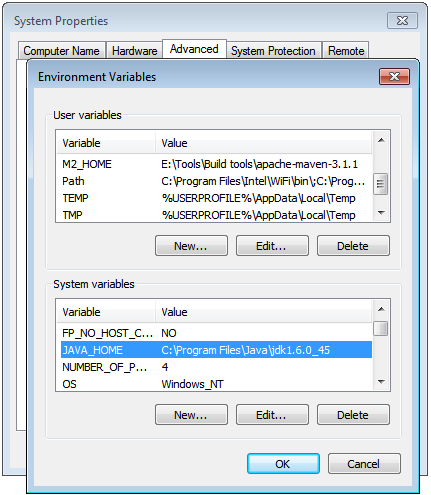 On Windows, users can use tools like 7zip/winzip to unzip apache-maven-3.1.1-bin.zip. A directory named apache-maven-3.1.1 will be created as result. Create an environment variable named M2_HOME which refers to directory where maven was untarred/ unzipped. 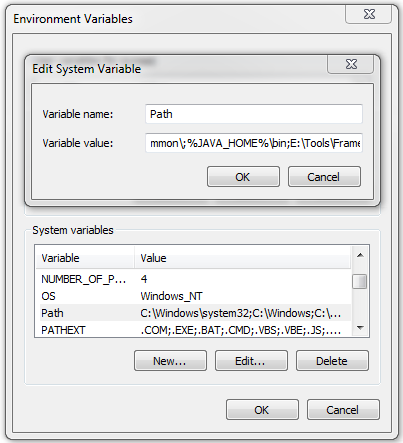 and then add this variable to PATH environment variable. Click OK, then Edit the ‘Path’ user variable to add M2_HOME\bin folder in it. 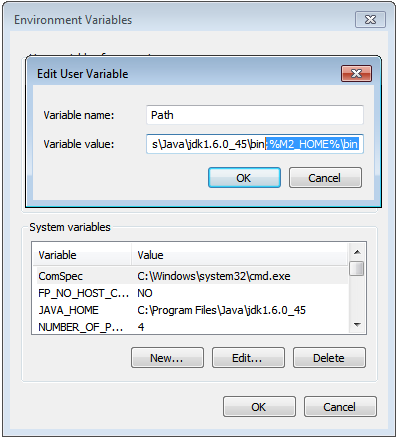 Make sure that JAVA_HOME environment variable is set to the location of your JDK installation, and $JAVA_HOME/bin is in your PATH environment variable. Execute command mvn --version to verify maven installation (same command for both windows and Unix). Above output shows that Apache Maven is installed successfully.